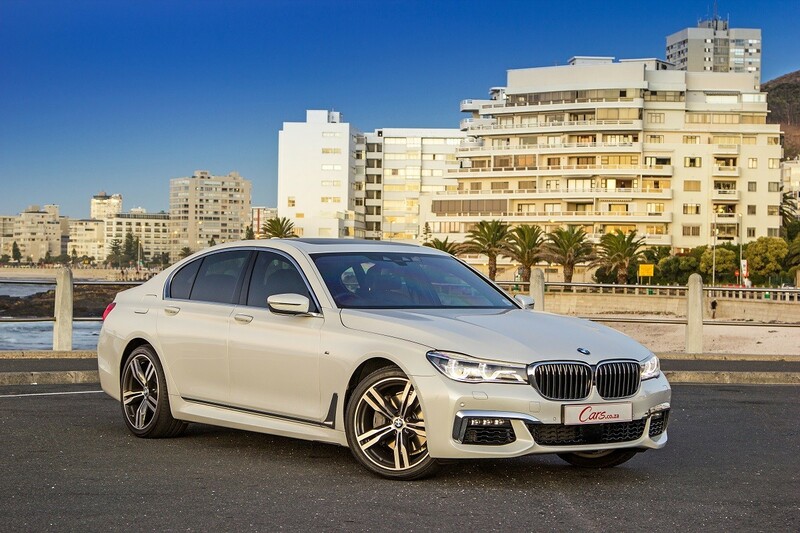 Previous incarnations of the BMW 7 Series offered a blend of power and luxury while delivering on the brand's marketing promise of "sheer driving pleasure". But times change and, with the new model, the emphasis appears to rest heavily on innovative technologies. 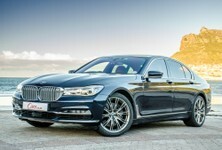 Is the 7 Series still a "driver's limousine" or has it become a cocooned shuttle for the wealthy? Its bodyshell consists of aluminium, steel and lightweight Carbon Fibre Reinforced Plastic, making the car 130 kg lighter than its predecessor. The adaptive suspension offers a wider scope of operating parameters – with extra comfortable- and extra sporty driving modes. The latest generation of laser lighting technology allows the BMW to project its high-beam up to 600 metres up the road. You can control infotainment functions by hand gestures and adjust a multitude other functions via a removable tablet in the rear console. How does it fare in terms of? 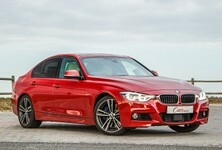 Only the best will do in this segment and BMW appears to have brought its A game. All the interior surfaces are beautiful to behold and feel substantial (dare we say, expensive?) to touch. 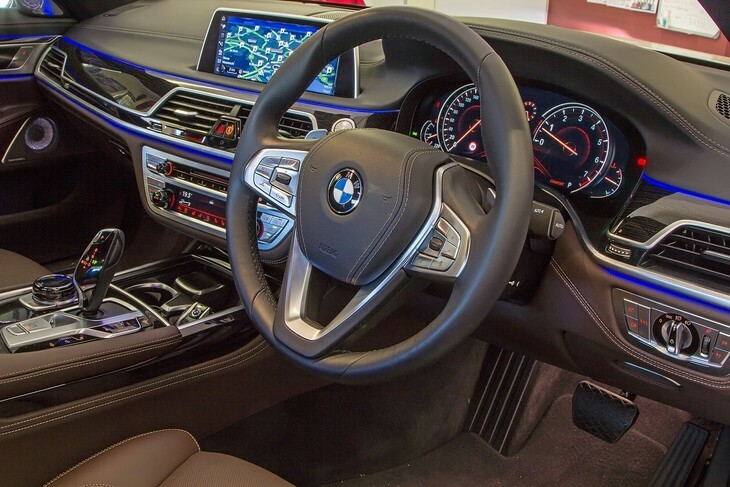 The mixture of metallic and organic materials is harmonious and the (more) digitised instrument cluster and air-conditioning controls make the cabin look less cluttered. All seats can be heated or cooled and are electrically adjustable with a massage function. The rear legroom isn’t as capacious as you’d expect, but the Executive Lounge Seating option does afford rear passengers leg rests and the ability to recline their backrests. There’s a level of quality inside the cabin that's hard to fault. There are 12 colours to choose from for the cabin's mood lighting (as well as the strips of LEDs strategically placed in the dashboard) and that level of user individualisation adds an um, light touch, to what is otherwise a very buttoned-up interior. In terms of the state of the art of contemporary grand saloons, BMW has taken the lead in this department. The gesture control is more than just a fun gimmick and once you know it’s there you tend to use it for turning down the volume or moving the camera angle around (when parking) quite intuitively. What's more, the voice recognition system is really effective. Say an address like “31 Marine Drive, Camps Bay”, for example, and the system will immediately begin the route navigation; it doesn't ask "Did you mean..." questions to clarify the command. We believe it to be the best system of its kind. The feature that gets the most attention, however, is the smart key fob. With its touchscreen and swipe functionality, it's like a tiny smartphone. You can set the interior fan to activate at a set time or start it remotely (just make sure you occasionally charge the key via the wireless charging dock in the centre console). In Europe, owners can even park the car by using the key fob, but that functionality hasn't been introduced in South Africa just yet. 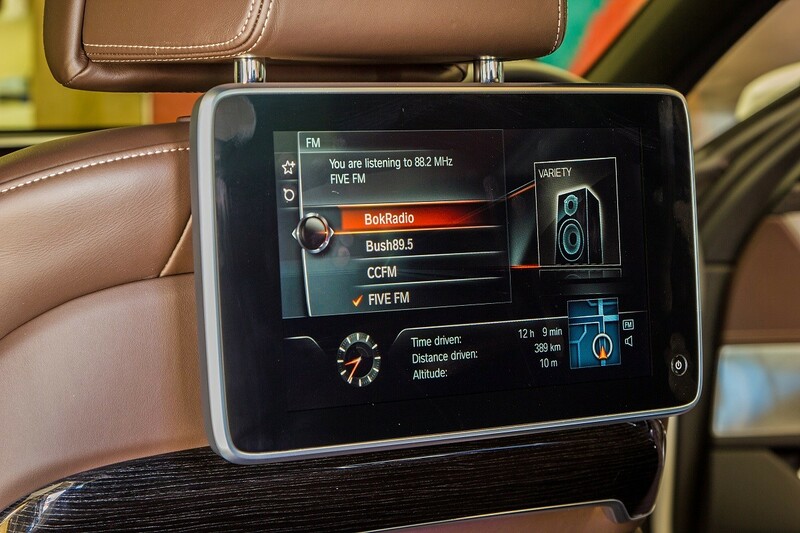 Furthermore, the rear centre console houses an optional removable tablet. 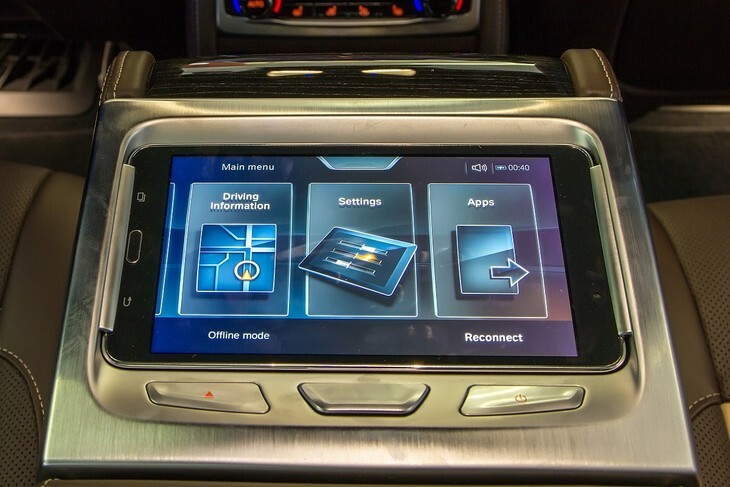 The tablet allows rear passengers to connect to the vehicle's systems and adjust lighting, air-conditioning and even the navigation settings. It also acts as a games device, video/audio player or a web browser. It uses the car's WiFi hotspot to connect to the 'net and you can choose to play media files on the larger rear entertainment screens if you so wish. 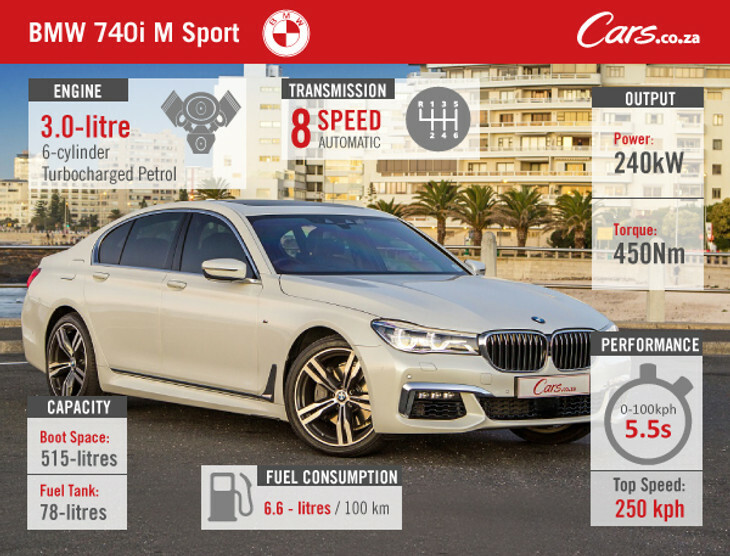 The 740i is powered by a 3.0-litre 6-cylinder turbopetrol that produces peak outputs of 240 kW and 450 Nm of torque. 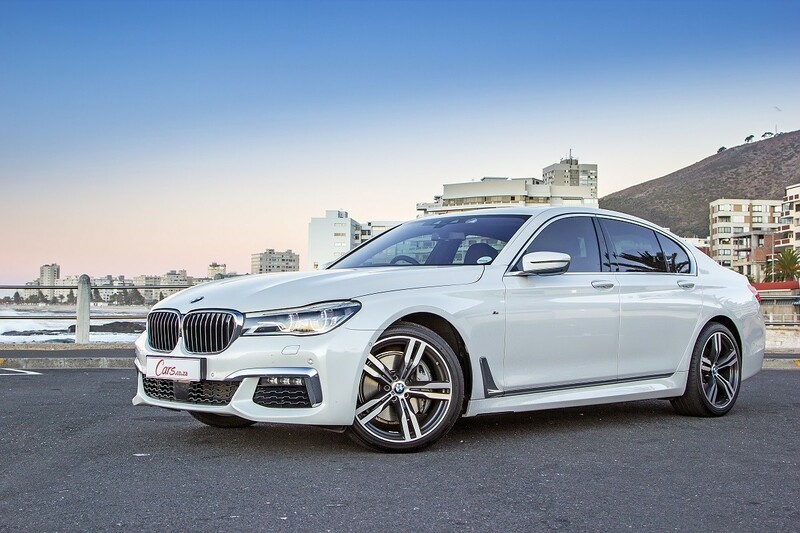 Thanks to its relatively low kerb weight (only around 1.8 tonnes), the 7 Series doesn't feel too weighty for its powerplant to handle. Power and torque are delivered to the rear wheels via an eight-speed transmission that shifts gears almost imperceptibly. While the saloon wafts along, the cabin is near silent apart from a slight flutter from the wing mirrors at around 120 kph; therefore, one could expect that the 740i will remain utterly composed even when (legally) travelling at 200 kph on an autobahn. 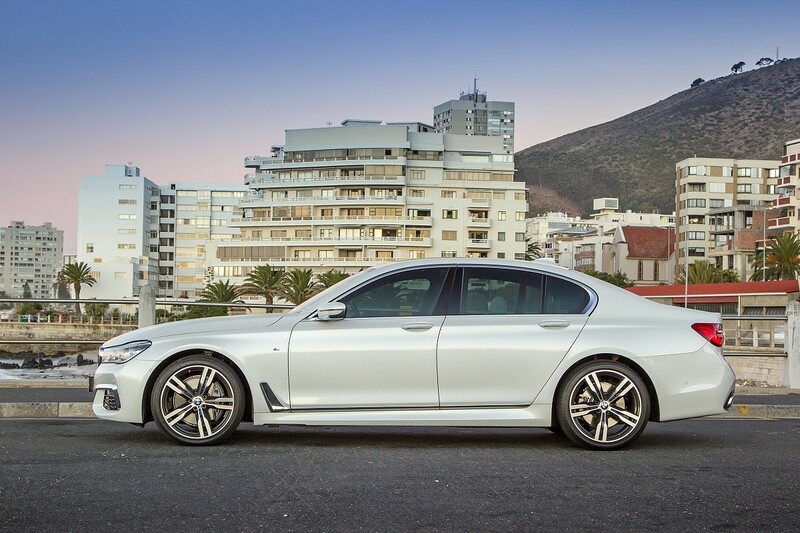 Most first class cars have adaptive suspensions, but the 7 Series' system is particularly versatile. It can deliver a multitude of ride qualities, to cater for everything from a supremely comfortable, blissfully insulated cruise to a hunkered down, road-gripping and white-knuckled blast up your favourite twisty road. 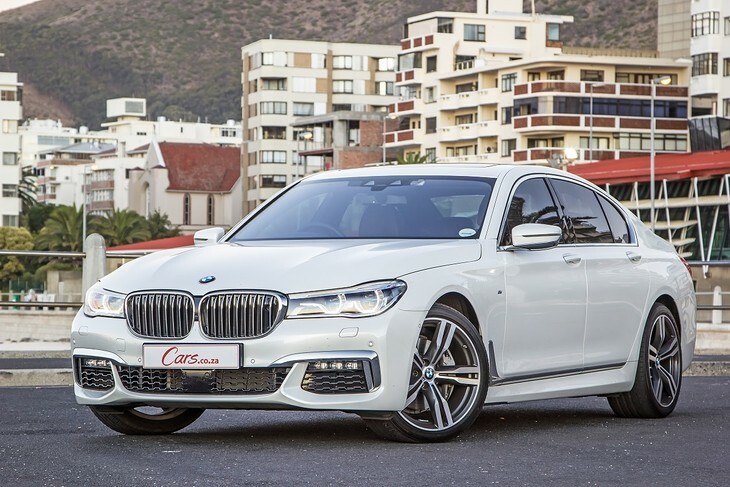 Due to, inter alia, the weight-loss measures introduced in the 7 Series, the 740i feels like a much smaller car (in terms of dynamics) from behind its steering wheel. It’s remarkably agile and feels as wieldy as a 5 Series through the bends, but with far more sophisticated damping. Much of the smart handling comes from the new chassis control system that reduces body roll and makes small adjustments for bumps and fluctuations in the road surface. 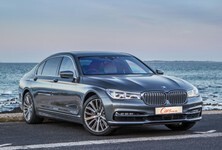 The 7 Series continues to be quite understated in its appearance, perhaps more so than ever before. 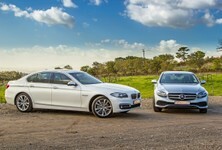 By comparison, the S-Class looks statelier and is easier to spot in your rear-view mirror. That said, if you’re not trying to make a statement about your wealth, the 7 Series ticks the right box. 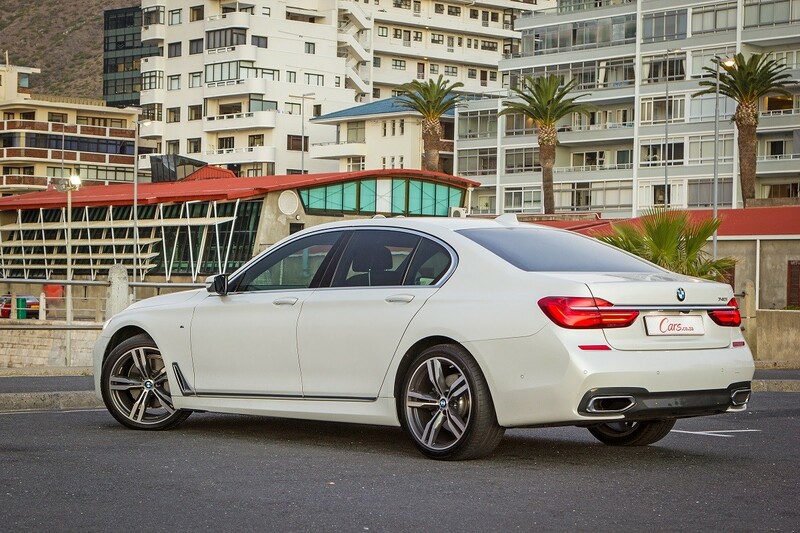 The 7 Series fires strongest on two fronts: its sizeable cache of technological features and handling dynamics. 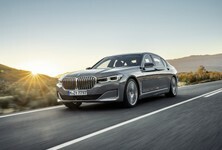 In a market segment where optimal device integration and constant connectedness are paramount, the BMW outdoes its rivals. A purely gadget-minded buyer will revel in using features such as the Smart key and gesture control, while an owner who wants to be at the helm of their saloon as often as possible will enjoy exploring the multiple suspension modes to make every driving experience memorable. It’s very capable of doing those things, but the Seven is still essentially a limousine and a display of status and sophistication. In that department, the 7 Series is perhaps too understated for its own good; it doesn't exude an aura quite in the way the S-Class does. 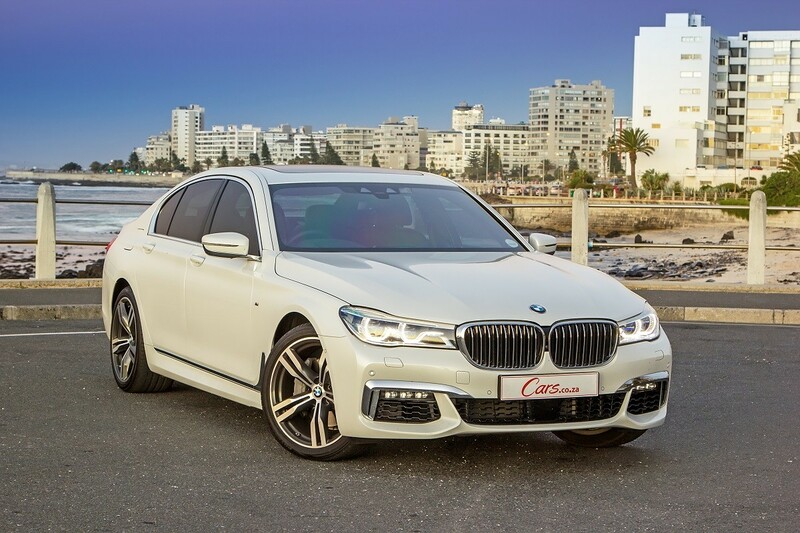 A standard 740i costs R1 339 000. As specified, this 740i M Sport model costs R1 754 738, which includes a 5-year/100 000 km maintenance plan.